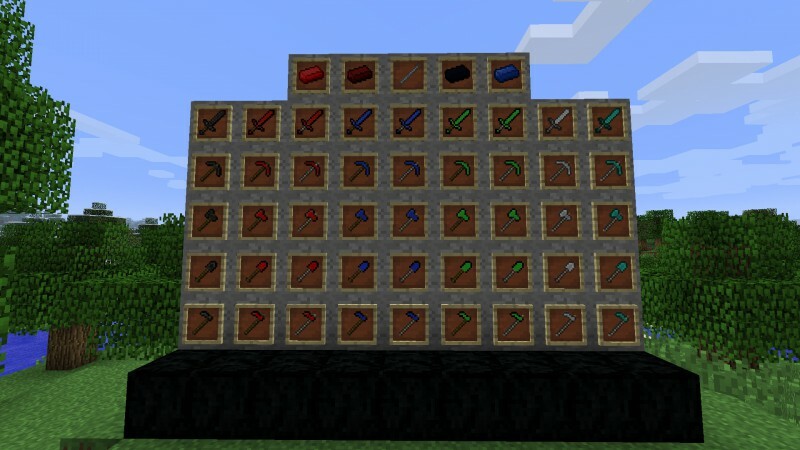 The MoreToolsMod adds tools, swords, armors and ingots to the game. These can be made from coal, quartz, redstone, lapis lazuli and emeralds (ordered by efficiency and durability). Amethyst Ore spawns under level 16. It is half so often as diamond ore.